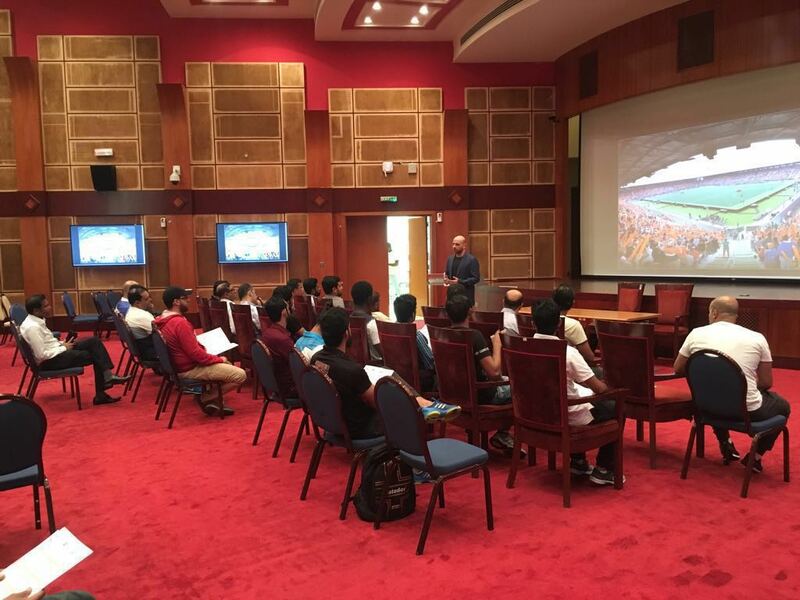 Doha, Qatar: Qatar Hockey Federation (QHF), in collaboration with International Hockey Federation Academy (FIHA) and Asian Hockey Federation (AHF), organized a National Level 1 Coaching and Foundation Level Umpiring Course between the 23rd and the 26th of May 2018. 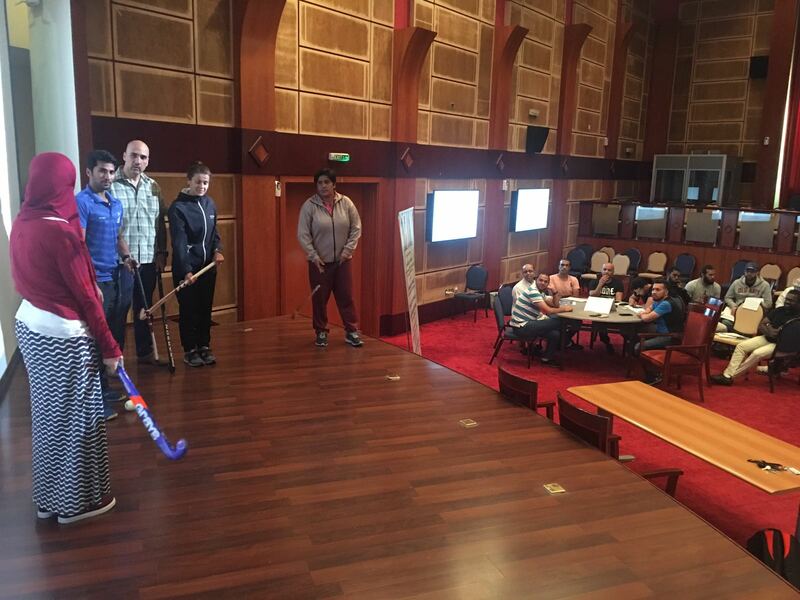 46 participants received certifications at the end of the course and joined the ranks of qualified Coaches and Umpires in the hockey family. 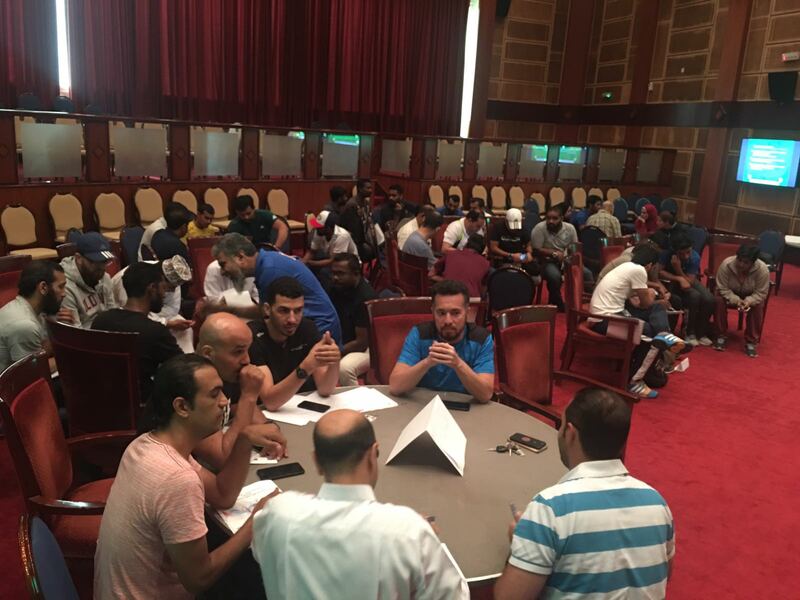 Participants included professional coaches, multi-sports trainers, and school personal education teachers. 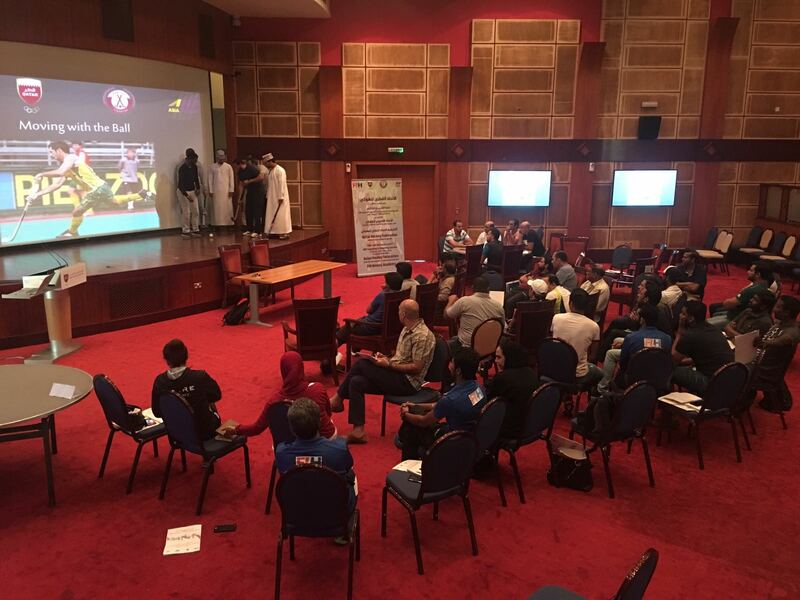 The diverse pool of participants was to ensure the development of hockey at all levels in Qatar. 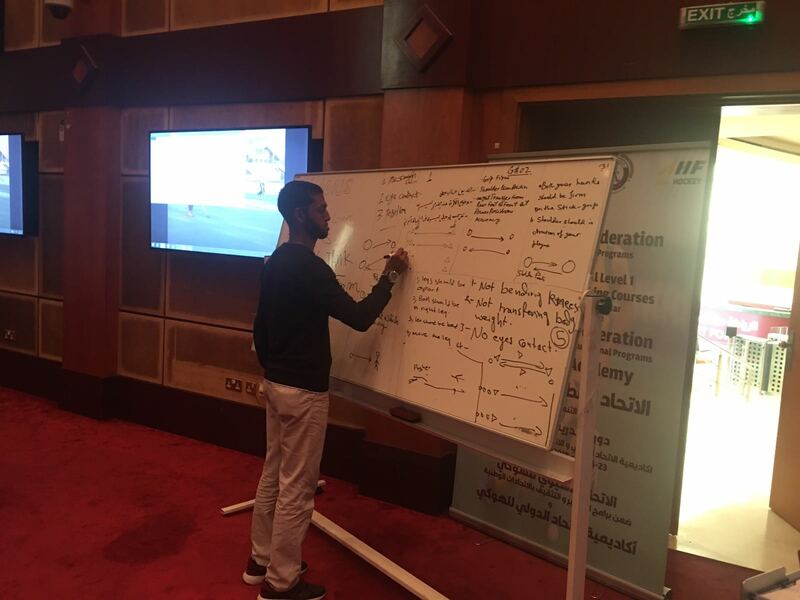 FIH High-Performance Senior Coach and FIH Academy Trainer, Tahir Zaman, and FIH Academy Educator, Maggid Abu-Talib, conducted the course which presented an introductory series of lectures for to the participants. 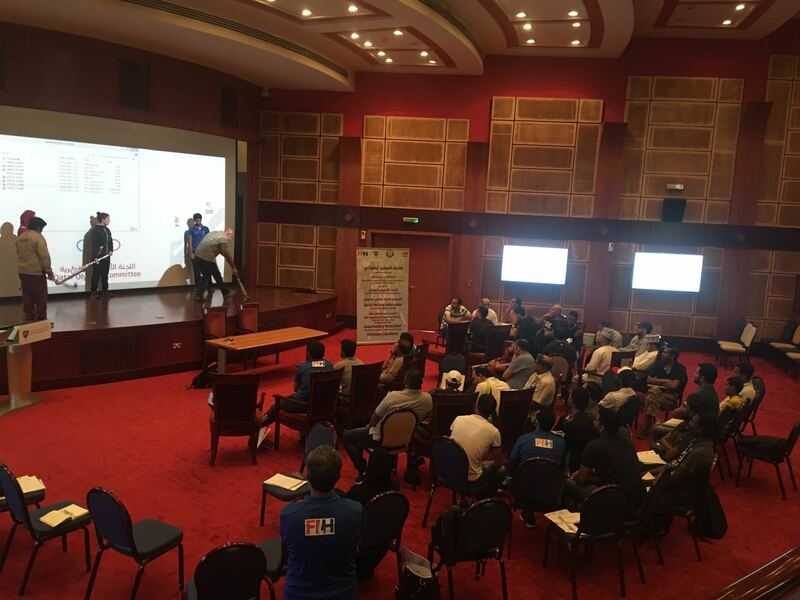 Level 1 courses are introductory courses which educate young and promising future officials of the game on the current practices and techniques used in modern day hockey.